JOMAR realized returns in its investment in new Product Development made in 2016 and 2017. The company increased its presence in the Electric, Water and Gas Utility Industry and continued to add new clients in the strategic core Manufacturing and Distribution Industry Sectors that it serves. 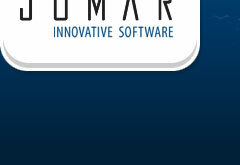 The new clients have selected deployment of the JOMAR Software Solutions on the JOMAR Private Cloud. Prospective clients where JOMAR has made the short list with pending decisions in 2019 have also indicated that they would require a Private Cloud Hosted deployment option rather than an On-Premise Solution. The company continued in 2018 to invest and expand its Private Cloud Hosting Infrastructure and Services to support the growth of its existing and new clients. The trend in the Market Sectors JOMAR serves is for clients to deploy the company Software Solutions in a secure Hosted Private Cloud Model. JOMAR management as a result is planning for additional capital investments in the first quarter of 2019 to further expand its Private Cloud Hosting Infrastructure and Services in order to support its growing base of clients. An Electric and Water Utility serving a community of 183,000 residents has selected the JOMAR Next Generation fully integrated CIS/MDM/Customer Portal and related ERP applications after a comprehensive Pilot process. The JOMAR CIS/MDM/Customer Portal Suite was selected over SAP, Oracle and Harris. The Utility serves approximately 66,700 residential and commercial customers. It maintains 32 substations and 1,600 kilometers of medium voltage distribution lines to deliver electricity. It also manages and bills for all Water Consumption and Services for the community of 183,000 residents. The CIS/MDM/Customer Portal will process, bill and provide account management services for its 66,700 electric Smart Meter and 40,000 Water Meter customers. The Implementation of the CIS/MDM/Customer Portal and related ERP applications will begin in the first quarter of 2019 and will include full deployment on the JOMAR Private Cloud. An Electrical Utility Client has selected and successfully implemented the new Release of the JOMAR Self Service Customer Portal. The Customer Portal has been implemented on the JOMAR Private Cloud and is fully integrated with the JOMAR CIS/MDM that is installed and operational. The JOMAR fully integrated Next Generation CIS/MDM/ Customer Self Service Portal Suite has been well received by prospective Utility clients. JOMAR has been included in the final list of selected vendors at multiple Utilities. These Utilities provide services to communities of 234,000, 194,000 and 124,000 residents respectively. A long term JOMAR client with 6 USA and 7 Global locations has selected the JOMAR Private Cloud and will deploy the JOMAR ERP Suite for its new USA acquisition. The company provides advanced materials for the Automotive, Protective, Medical, Defense, Filtration and Performance Wear Industries. The project was launched in the fall of 2018 and full deployment on the JOMAR Private Cloud is scheduled for completion by the second quarter of 2019. A new JOMAR client that serves the Military and Tactical, Medical and Commercial Industries has selected the fully integrated JOMAR Manufacturing ERP Suite to support its growing customer base and USA locations. The project is scheduled to begin in January 2019 and will include full deployment of the Manufacturing ERP Suite based on the JOMAR Private Cloud SaaS Model. A long term JOMAR Global Manufacturing ERP client with 40 locations in 17 countries on 6 continents contracted with JOMAR to develop a Pilot Distribution System that can support its 12 Distribution Centers across the USA, a Call Center Customer Service facility and integrate seamlessly with its e-Commerce platform and future virtual marketplace strategic partners. The Distribution System will be fully integrated with the JOMAR ERP Manufacturing Suite that is fully operational and supports the clients global USA, China and India manufacturing sites. The project is scheduled for completion in the first quarter of 2019. JOMAR completed the development of functions and features required to support Utility Billing of Water Consumption and Services. The functions and features were developed, tested and completed in collaboration with multiple Water Utility Pilot Projects that included deployments of Smart Water Meters. The Water Billing features and functionality will be implemented in a CIS project for a new JOMAR client that will be begin in the first quarter of 2019. JOMAR completed the development of comprehensive features and functions for its Suite of Distribution Applications. The enhancements covered major functional areas such as Call Center Order Entry, Customer Account Management, Configurable Rules for Automatic Allocation of Available Inventory, Optimizing the Automatic Creation of Waves to Warehouses to support Picking, Assignment and Scheduling of Resources, tracking of fabricating processes if required, packaging and staging same day or future shipments. JOMAR continued to focus on investing in new product development as well as advanced infrastructure and services for Next Generation ERP, Utility and Insurance Software Applications. These Next Generation Software Products are implemented On-Premise and the JOMAR Private Cloud. An Electrical Utility Client that has successfully implemented the JOMAR fully integrated Next Generation CIS and MDM applications signed a multi- year Hosting Services Agreement to utilize the JOMAR Private Cloud. The CIS and MDM applications were successfully migrated and deployed to the JOMAR Private Cloud at the end of the first Quarter 2017. JOMAR was selected in 2015 by a Water Utility serving a community of 133,000 residents to provide its Meter Data Management (MDM) to support the City Water Conservation pilot project to upgrade the City infrastructure and install Smart Water Meters. The project included deployment of Smart Meters at Residential as well as Institutional and Commercial locations. The JOMAR MDM was integrated with the AMI that was implemented by the local Electric Utility using industry standard technology and protocols. The project has run successfully for the full 12 months of 2016 and the first 6 months of 2017. City council is scheduled to review the proposed full scale implementation and final cost justification in July to August 2017. Funding for the project will be finalized in the last half of 2017 and full implementation is planned to begin in 2018. The Water Utility will continue to utilize the JOMAR Private Cloud Hosted MDM, Mobile Consumer App and support Services to process all Water Utility data collected from the 35,000 Smart Meters that will be deployed. An Electric and Water Utility serving a community of 183,000 residents has selected the JOMAR Next Generation CIS for a Pilot Project. The Utility serves approximately 66,700 residential and commercial customers. It maintains 32 substations and 1,600 kilometers of medium voltage distribution lines to deliver electricity. The Utility is planning for the replacement and upgrade of its existing CIS legacy application. The Pilot project was launched in the last quarter of 2017. The JOMAR full suite of ERP, Manufacturing, Distribution and Financial applications were selected, by an innovative industry leading supplier of high performance Sail Cloth to the Marine Industry. The company has established distribution channels and partners in the USA, UK, Germany, France, Italy, Norway and Australia. The new client is implementing the JOMAR Private Cloud Hosted ERP Solution. The JOMAR full suite of Manufacturing and Financial ERP applications were selected after an extensive RFP process, by a manufacturer of Engineered Coated Performance Materials. The company manufactures products that serve the Healthcare, Institutional, Transportation, Automotive, Recreational, Heavy Duty Protective, Mining, Tunneling, Awning and Structures Markets. Implementation of the JOMAR Manufacturing and Financial ERP Suite was launched in the first quarter of 2017. JOMAR developed a comprehensive Billing and Settlement Service application that supports Distributor consolidated billing for retailers. The system includes a configurable transaction processor that supports an electronic dialogue between Retailers and Distributors. The application was implemented live in production in April 2017. JOMAR, working in collaboration with a long term client, began the development of enhancements that simplify the integration of market leading e-Commerce applications with the core JOMAR ERP modules. The functionality will include the ability to extend the scope of the JOMAR ERP integration to support connectivity with the growing e-Commerce Marketplace Platforms. This functionality will be available to clients that deploy JOMAR ERP applications On Premise or on the JOMAR Private Cloud. JOMAR continued in 2016, to invest significantly in new product development as well as infrastructure and services to support the existing and future growth of the companies Private / Cloud Hosting Services. The investments and strategy resulted in new customer contracts in the Distribution , Manufacturing and Utilities Industry. A new Water Utility client pilot project , for a city of 133,000 residents, provided JOMAR with the opportunity to deploy the companies Next Generation Smart Meter Data Management (MDM) to support the City Water Conservation initiatives. The company invested to expand and improve its Private Cloud/Hosting Services. Enhanced Cyber Security software was purchased from a market leading expert provider and installed at the company sites. The new Cyber Security software , in addition to the cyber security software already in place from the Hosting infrastructure provider, increases the level of monitoring, detection and blocking of known as well as emerging security threats. The JOMAR Cyber Security software partners have large operation centers that monitor 24x7 regions of the world for emerging threats and proactively update the security sensors installed at the JOMAR Hosting Sites. JOMAR has also reviewed market leading Cyber Security Software that is designed to specifically monitor and sanitize targeted attacks from e-mail traffic. JOMAR clients have purchased software from these vendors to increase the level of protection for the Hosted environments as well as their internal infrastructure, networks and on premise deployed software. The JOMAR Hosting Services Disaster Recovery Site has been upgraded to provide clients with a hot , fully synchronized DR site that can be brought online immediately in the event the primary site, which also includes a fully synchronized and replicated production system on a separate physical back-up server, is brought down due to a natural disaster. The DR facilities and services include purchased and installed computer hardware, communications bandwidth and support services that are equivalent to the production primary site facilities. This ensures that all JOMAR Hosted clients can operate at peak efficiency for as long as necessary in the event that a switch over to the DR site is required. The company invested to enhance the Business Rules Engine component of the Smart Meter Data Management (MDM) application in response to feedback from the Pilot Project for a new Water Utility client. In addition, an App was developed, installed and is in use by consumers who can access, in real time, their daily water consumption along with additional metrics and alerts to help manage and conserve the city water supply. JOMAR’s Next Generation CIS system has been enhanced with new features based on feedback from customer implementations of CIS and the fully integrated Meter Data Management (MDM) system . The customer focused , collaborative process to provide new innovative features and functions resulted in process improvements to the Account Management Wizard, Configurable Business Rules that support automated processing of third party Retail Billing, Service Order Work Flow Templates, Billing Settlement, Global Adjustment , Automated Delinquency & Collection processing. These features and functions have been installed at customer sites and are available in the 2017 CIS/MDM Release. Distribution, Manufacturing ERP sales were made to 3 clients. These customers provide engineered and performance materials for sectors such as the Military, Sports, Industrial and Medical sectors. In addition, 2 new clients, where JOMAR is the selected finalist are in the process of completing final due diligence and are being scheduled to begin implementations in the first quarter of 2017. Existing Manufacturing and Distribution clients have also expanded the deployment of the JOMAR ERP Suite. A market leading tier-1 Automotive supplier installed the JOMAR ERP Suite at its new acquisition in Europe. A JOMAR client is also planning to install the JOMAR Manufacturing ERP Suite in 2 new facilities it is in the process of acquiring in early 2017. JOMAR was selected by an Ontario city Water Utility , with a population of 133,000 residents , to provide its Smart Meter Data Management (MDM) to support a pilot project to upgrade the city’s infrastructure and install Smart Water Meters. The project included deployment of Smart Meters at Residential as well as Institutional and Commercial sites. The JOMAR MDM was integrated using standard available modules with the AMI that was implemented by the local Electric Utility. In addition to its Smart MDM, JOMAR also provided the city with an App for consumers, institutions and commercial participants to access real time daily consumption data , metrics to detect leakages and alerts to help manage and conserve the city water supply. This capability was used by commercial and institutions , such as Universities and Public Schools ,to pinpoint excess water usage due to failing infrastructure such as pipes and running toilets. This resulted in corrective action that reduced water consumption and monthly costs that directly supported the city Water Conservation efforts. The project has run successfully for the full 12 months of 2016 and is now in the stage of final assessment, budgeting and city approval to move forward with the first phase of a full roll out. JOMAR continued to add new clients to its Hosting Services in 2016. The company added 3 new Distribution and Manufacturing ERP clients. It has also been selected as the finalist by 2 additional clients. Final contract and budget approvals are pending with deployments scheduled for the first half of 2017. An Electric Utility with a population of 52,000 Smart Meters that has an installed operational JOMAR MDM has elected to Host the system at JOMAR facilities. The deployment to the JOMAR Hosting Services is in the final stage of acceptance testing and will be switched over in January 2017. JOMAR has continued to expand its operations and acquire contracts with new and existing customers in Manufacturing, Distribution, ERP, Utilities and Insurance. The contracts consist of traditional on-premise software sales and Hosting Services that include both JOMAR Software and facilities Services. Investments to expand have continued with the opening of a new Support office in Vancouver for marketing, customer implementations and Hosting Services. The Vancouver support office is a strategic long term investment to support the company growth of its full suite of product lines in the Western and Pacific coastal regions of the USA and Canada. JOMAR New Product Announcement and Release. The Job and Project Enterprise Mobility Suite includes Quoting, Estimating, Tracking and Billing Modules developed specifically for managing Jobs and large infrastructure Projects. The modules can be used to manage the Manufacturing, Fabrication, Onsite Installation and Post Implementation ongoing Maintenance of large infrastructure projects in for example, the Utility or Geotex (Geosynthetic) Industries. It can also be used by light manufacturing or custom job shops such as steel, marine or awning fabricators. JOMAR has been selected by the following clients to install the new release of its Job and Project Enterprise Mobility Software Suite and the Next Generation Customer Information System (CIS). One of the largest Marine Fabricators in the USA, based in Florida, has selected the JOMAR Job/ and Project Enterprise Mobility Software Suite to support its Fabrication of Bimini Tops, interior and exterior upholstery, soft enclosures, blinds and metal fabricated parts. The company provides its services to clients with boats ranging in size from small pleasure craft to large mega yachts. JOMAR has included data and developed specific features and functions to schedule and track orders in a custom marine fabricating job shop. Critical data related to vessel identification, location, prior repair history, tracking of change in ownership and specific size and dimensions of each customized job are managed in the system. The JOMAR Enterprise Mobility applications will also be used by field repair crews to report back on installation work and provide real time Quotes while visiting and marketing to clients on-site at marinas. Next Generation Customer Information System (CIS) for Electrical, Water and Gas Utilities Selected for implementation in 2015. JOMAR has been selected, after a public RFP bidding process, to implement its newly developed and released Next Generation CIS system at a Utility with 55,000 customers. The Next Generation CIS System includes a Configurable Business Rules Engine to retrieve data from the MDM Data Repository for the CIS Billing Engine. The system is fully integrated from meter to cash with Automated Billing Templates and Service Orders to reduce data maintenance, increase billing accuracy and to prevent delays in the Customer Billing Cycle. The flexible and configurable Billing Templates support TOU, Tiered and Demand Billing. The CIS application is fully integrated with the JOMAR Meter Data Management (MDM) and Utility ERP applications providing our client with a fully integrated end to end solution on a single web based current technology platform. JOMAR has been selected and signed agreements with 3 new clients to use the JOMAR Enterprise Mobility ERP Suite available on the JOMAR Cloud/Hosting Services. The clients are located in New Jersey, Florida and Ontario. They include a converter of Performance Materials for the military, a Marine Fabrication facility and an Insurance provider in the Financial Services Sector. The JOMAR Insurance Hosting client is a provider of Individual, Group and Health Insurance to Law Firms and their associates/staff of over 25,000 individuals across Canada. JOMAR has continued to acquire new customers in the traditional markets the company has served and is experiencing steady growth. Investments in the JOMAR Hosting Services facilities in Toronto and Vancouver, has resulted in Software and Service sales to clients in our existing and market sectors that are new for JOMAR. The development of major new products has resulted in new contracts with clients in new markets that position the company for long term steady growth. The Police Force and Emergency Services ERP Suite includes Member Services, Distribution and Warehouse Management, Inventory and Asset Management and JOMAR Enterprise Mobility Software that is fully integrated with Police Vehicle Mobile Device Units (MDU’s). JOMAR has been selected, after a public bidding process, to provide Member Services, Distribution/Warehousing, Inventory Management, Procurement and Mobility software for integration with Police patrol vehicle Mobile Device Units (MDU’s) at one of the largest Regional Police Forces in Canada. The Police Force consists of 1700 officers across 5 operating divisions supported with assets that include approximately 750 vehicles. A utility client has implemented JOMAR's Asset Ping Service in its Control Room. The Asset Ping Service consists of JOMAR Technology components that launch a series of targeted online real time pings to the AMI. The targeted pings are based on a GIS trace of for example, a feeder segment reporting a fault. In one instance, the cause of an outage involving 3,000 customers was quickly pinpointed and resolved by field service personnel based on meter power on responses from the AMI processed by the Asset Ping Service. JOMAR’s Asset Ping Service functionality is fully integrated with Outage Ticket Management, Crew Scheduling and CIS Service Order Processing. The company acquired 2 new clients in the Performance and Engineered Materials Sector that purchased the complete JOMAR Enterprise Mobility Suite. Engineered Materials manufacturers located in Texas and Pennsylvania have purchased the full Suite of JOMAR applications. The clients are vertically integrated multi plant operations that will deploy and integrate 5 of their facilities, including sites in Mexico, utilizing the JOMAR Enterprise Mobility and ERP applications. These clients located in Ontario, Canada and New Jersey, provide Performance Materials for the military and Geosynthetics for Environmental protection. One client manufacturer’s environmental protection filter fabric that can be used by utilities as protective barriers for transformer and hydro pole utility infrastructure for feeder lines that run through environmentally sensitive watersheds or swamps. The Hosting clients also include a Utility Company, for a total of 6 operational facilities located in Ontario, New Jersey and North Carolina. JOMAR continued in 2013 to make significant investments in the development of new Technology, Software Products and Services that resulted in new clients and the awarding of significant new projects with existing clients. The company’s Strategic Investments in Technology and Services continue to provide a foundation for growth in key markets we serve. It also provides JOMAR with the ability to penetrate new markets, acquire new customers and ensure continued long term stability and growth. JOMAR has expanded its SaaS Services for the Manufacturing, Distribution and Smart Grid Utility Management (CIS, MDM/ODS and OMS) ERP Solutions. JOMAR has partnered with Peer1 Hosting Solutions and has invested and set-up Hosting Facilities at sites in Toronto and Vancouver, Canada. Develop a broad range of consulting and analytical services that utilize the JOMAR SaaS Solutions. For the Smart Grid Utility Management Applications, JOMAR will provide Utilities with analytical metrics and feedback by Monitoring the Health of a Utilities AMI and Network. Utilities will be able to submit their raw meter and alarm data for analysis or contract with JOMAR to process their meter data on a periodic basis for auditing of their AMI. JOMAR was selected by a long term customer to replace its aging legacy Insurance Application that provides Individual and Group Life, Disability and Extended Health Care Coverage to over 25,000 customers. The client selected JOMAR after a detailed RFP process that included many established long term Software suppliers to the Insurance Industry. The JOMAR Insurance and Financial Management System will be implemented in 2014. JOMAR will provide Hosting Services for our Insurance client at our facility in Toronto. A Tier 1 Automotive parts manufacturer has selected JOMAR’s real-time Visual Schedule Board to support its JIT integrated scheduling requirements. The company is a supplier of intake manifolds, stabilizers, front end modules and class A exterior parts. It has six manufacturing facilities that include mold design, product design (Advanced Tooling), mold making, injection molding, automated (Robotics) painting and assembly. Its clients include major automotive companies such as GM, Chrysler and Honda. JOMAR is investing and leveraging the knowledge and technology it has developed to support integration with Smart Grid Advanced Infrastructure and SCADA (System Control and Data Acquisition) systems to manage the Smart Grid. The core infrastructure and technology is being adapted to provide seamless integration with our ERP Shop Floor Control, Visual Schedule Board and Advanced Planning and Scheduling applications. Currently, we are working with an Automotive company to adapt our Robotics integration technology to manage and control production for 75 robotic manufacturing cells deployed across 5 of its manufacturing facilities. JOMAR signed new clients in the Manufacturing and Distribution Sectors. In addition, the strategy to develop new products and services for the JOMAR Smart Grid Utility Management System for Electric, Water and Gas Utilities continues to be successful with new software sales and projects for our existing and new Utility clients. 2 new clients with multi-plants in Canada and the USA that purchased the full suite of Manufacturing and Distribution ERP Applications. These clients produce materials for the Automotive, Filtration and Geosynthetic Industries. In total, the new customers will deploy the JOMAR applications to support 8 new manufacturing and distribution sites. 2 JOMAR long-term clients initiated full system upgrades in 2013. They included clients in the Rubber/Tire Cord and the Fire Protection Industry Sectors. A Utility Client that provides electricity for 50,000 Residential and Commercial Smart Meter customers is installing the newly enhanced JOMAR Outage Management Support (OMS). The OMS Support application is being fully integrated in real time with the Sensus AMI, ESRI GIS and in a future phase SCADA from Survalent. The CIS system was enhanced with improved Time Series Processing techniques. These enhancements combined with the fully integrated MDM Configurable Business Rules Engine provide Big Data Analytics that can scale to beyond 10 million end points. JOMAR completed enhancements to its Outage Management Support Application that is fully integrated in real time with Sensus and Elster AMI Technology. The JOMAR OMS application is built using standard MultiSpeak web services that can also be fully integrated with SCADA and GIS applications from vendors such as Survalent and ESRI. JOMAR signed new clients in the Manufacturing and Distribution Sectors. In addition, the strategy to develop new products and services for the JOMAR Smart Grid Utility Management System for Electric, Water and Gas Utilities continues to be successful with new software sales and projects for existing and new Utility clients. A Utility client providing electricity to 10,000 Residential and Commercial Customers that purchased and is implementing the full JOMAR ERP Smart Grid Utility Management Suite. 6 new manufacturing and distribution sites. 4 JOMAR long-term clients initiated full system upgrades in 2012. They included clients in the Rubber, Polymers, Plastics and Machinery parts. JOMAR continued its strategy of Development and Investment in Mobile ERP/Enterprise and Smart Grid Utility Management Software acquiring new customers and providing upgrades and additional rollouts to existing clients in the Industry and Utility Markets the company serves. JOMAR initiated and supported 8 new projects consisting of product enhancements, system upgrades, and new site rollouts to clients in the Performance, Engineered Materials, Plastic and Rubber sectors. The projects include clients that serve the Military (Ballistics, Camouflage), Advanced Aerospace Composites, Fire Protection, Filtration, Sports, Automotive and ATV OEM markets. The projects were completed in the USA, Canada, UK and Central/South America. JOMAR continued its progress in this growing and technology driven sector. JOMAR signed agreements and initiated projects with two new utility clients to implement our Smart Meter Data Management and Outage Management Support Applications. The Utilities provide Electrical Services to cities with populations of 152,000 and 117,000 with current deployments of 52,000 and 26,000 Smart Meters respectively, that support their TOU and Green Energy Conservation Initiatives. These new Smart Meter Implementations further expand JOMAR’s technical knowledge and expertise of the Sensus and Elster AMI Technology. A JOMAR Utility client, providing Electricity and Services to a region with 50,000 installed Smart Meters, has also fully implemented the JOMAR Smart Meter Data Management and Outage Management Support Applications. The Utility has completed its TOU implementation in compliance with the Province of Ontario Green Energy Act and Conservation Initiatives. The following represents JOMAR 2011-2012 Investment, Development and Strategic Directions. The Company’s Direction is to continue to invest and expand in its existing Industry and Utility markets with Partners that offer complimentary Products and Services. It is also moving forward and applying its software products and technology to penetrate new markets, working with established Partners in the Industry and Public Sectors they serve. JOMAR’s Software Infrastructure Technology, developed and enhanced since 2000, allows for the efficient roll-out of new applications, enhancements of our current software and seamless integration of our ERP and Mobile Enterprise Software with third-party vendor software. JOMAR experienced a steady flow of ERP and Enterprise Software projects from existing customers that also consisted of new upgrades. The JOMAR upgrades have been installed for existing clients that have deployed our applications on Linux-Oracle, Microsoft Windows-SQL Server and IBM iSeries – DB2 technology platforms. New clients included the sale and successful implementation of a complete ERP and Enterprise suite of applications at a multi-plant vertically integrated global manufacturer of Automotive Interiors. The full suite of ERP and Enterprise applications were deployed on the latest Microsoft Windows Server and SQL Technology in a Virtualized Server environment. Currently, the environment supports approximately 250 users and will scale as required to meet the company’s expansion and growth. The latest versions of the Blackberry® and the Google Android operating systems are integrated with JOMAR’s Smart Grid – Meter Data Management/Outage Management, MDM/R and ERP/Mobile Enterprise Software application suite for the Utility and Industry sectors. The integration of the iPhone, iPad and the new Blackberry® Playbook™ is in progress. The integration of SmartPhones has positioned JOMAR so that it can properly market, implement and service its ASP outsourcing and Cloud Computing options. JOMAR is currently working with a multi-national client that has a nationwide distribution network to enhance our Distribution Software that is also integrated with JOMAR’s ERP and Mobile Enterprise Software application suite installed on the Linux/Oracle platform. These enhancements will include functionality to improve support for Dynamic Buffer Management of Inventory at the Central and Branch Warehouses. In addition, replenishment and order taking processes will be streamlined to support order volumes in excess of 3,000 orders/day during peak season that require same-day shipping and large invoice/billing processing runs. This functionality will be completed and released in January 2011. JOMAR successfully completed the implementation of its MDM - Meter Data Management, including the ODS - Operational Data Store (Repository) at a Utility in Ontario, Canada to support the Smart Grid Initiative mandated by the Province of Ontario Green Energy Act. The JOMAR MDM, Operational Data Repository and new Outage Management functionality is market leading technology that is integrated in real time with the Sensus supplied Advanced Meter Infrastructure (AMI). JOMAR’s “Gateway” Technology was also installed to seamlessly integrate the Utility’s CIS, GIS and Provincial MDM/R with our Operational Data Repository and new Outage Management functionality. JOMAR’s MDM functionality has passed all Province of Ontario IESO mandated SIT and QT Testing requirements. JOMAR’s “Gateway” Technology supports seamless integration of our Smart Grid - MDM Operational Data Repository, new Outage Management functionality and ERP/Mobile Enterprise Software application suite with CIS, GIS and Utility legacy systems across multi-platforms. JOMAR continued to enhance platform independent web-based ERP and Enterprise Software components to meet the needs of our existing and new customers as they diversified their product lines and streamlined business processes in their domestic and global operations. These enhancements are provided for JOMAR’s web-based ERP and Enterprise Software application suite available with a choice of platforms. JOMAR developed ODS - Operational Data Store (Repository) as part of MDM and integrated it with the RNI – Regional Network Interface (AMI) for release in the second quarter of 2009. ODS and the initial Mobile Software functions integrated with the BlackBerry (Smartphone), have been received favorably in demonstrations at the EDIST – Electricity Distribution Information Systems & Technology Conference and Exhibition in Toronto, Ontario, Canada in January 2009. Mobile software enhancements allow the sales force to demonstrate products, produce an e-mail quotation, review the order margin, check for inventory availability enter the order delivery and produce an order confirmation at the customer’s office. Dashboard software enhancements provide management information and graphic presentations of KBIs (Key Business Indicators) for desktops, laptops and SmartPhones. Customer Serve software enhancements include user defined ‘multi-level’ AFS (‘Available for Sale’) grouped by weeks, days or months. Sales discounts are also available for more complex pricing structures and EDI transaction processing is streamlined. Visual Schedule Board software enhancements provide a ‘What-if’ planning option for schedulers to simulate alternate schedules without affecting the live Schedule Board that is used by production schedulers. An option is also available to access the detailed ‘machine schedule calendar’ used by the Schedule Board. Quality Assurance software enhancements are supported with comprehensive user defined parameters for test characteristics and templates. User formatted screens for entering unique test results are linked to documents in manufacturing of engineered materials and performance fabric for ballistics and fire or chemical protection. Steel Service Center software enhancements are integrated with JOMAR’s web-based ERP and Mobile Enterprise Software for the mobile sales force. Accounting software enhancements include bank reconciliation, additional general ledger drilldowns, summary posting by source journal, electronic funds transfer with accounts payable voucher load, 1099 voucher information changes and audit table for accounts receivable period end. JOMAR successfully completed the development and Phase 1 deployment of the MDM - Meter Data Management, including the ODS - Operational Data Store (Repository) at a Utility in Ontario, Canada to support the Smart Grid Initiative mandated by the Province of Ontario Green Energy Act. Software enhancements for JOMAR’s Visual Schedule Board, industry-specific functions and for the Financial Management System were released this year. These new releases became part of the project implementations for new customers and for the upgrading of our current customers’ installations in the U.S.A., Canada, the U.K. and Central America. JOMAR tailored the Visual Schedule Board to provide real-time scheduling for Work Force and Outage Management, Engineering projects and Field Services. JOMAR implemented a range of major ERP modules of our web-based and ‘server-side’ Enterprise Software application suite in single manufacturing plants and/or vertically integrated plants with distribution centers in the U.S.A., Canada, Europe and Central America. Supply Chain Management (3), Product Data Management (3), Customer Services, Invoicing/Shipping (4), Inventory by quality at multi-levels of the end-product by Quality for SKU, Lot and Roll Goods with multiple units of measure including roll cutting/slitting, dyeing, coating, laminating and finishing (5), Purchasing Management (3), Warehouse Management (3), Visual Schedule Board (8), QC and Lab/Product/Machine Specifications (2), R.F. Barcoding and Data Collection (4), Costing for products and processes (5), Manufacturing Execution Systems (3), General Ledger (5), Accounts Receivable (5), Accounts Payable (5) and Bank Services (5). Major ERP and Enterprise Software modules were installed on the Windows/MS SQL Server, Linux/AIX – Oracle and DB2, and iSeries/DB2 platforms. Our software development team provided additional industry-specific ERP and Enterprise Software enhancements for our customers’ diverse products and processes. JOMAR also expanded the ERP and Enterprise Software infrastructure to allow for greater flexibility in the application of new ERP and Enterprise Software functions for multi-platform technology. The web-based software infrastructure will also allow for the roll-out of JOMAR’s future application software with seamless integration of third party vendor software. Full Service Supply Chain Management (9), ERP (14), Customer Services (11), Inventory Control at the SKU, Lot and Piece level (15), Manufacturing Execution Systems (10), PDM Data Base (10); Financials – General Ledger (12), Accounts Receivable (12), Accounts Payable (12), Multi-company Financial Consolidation at a selected currency (3) and Costing (15); R.F. – Barcoding with Data Collection (13 – some have Touch-screen technology) and the Schedule Board (16). The Backlog for 30% of these installations was scheduled for 2007. JOMAR's JAVA and XML/XSL platform independent software component technology provided our customers with a choice of platforms to reduce their IT ownership cost. This gave JOMAR a competitive edge over other software vendors who locked-in their customers on a single platform and its pricing structure. It also made it difficult for JOMAR’s competitors who were gradually upgrading their software and therefore could not make a complete switch to another platform. JOMAR’s owners continued their strategy of investing in the development of software enhancements and comprehensive Financial Software modules in 2001-2002 for our new and existing customers as they diversified their products and business processes to meet the challenge in the competitive global market. The Canadian and U.S. professional staff of JOMAR installed new ERP releases for the web-based Enterprise and Financial Software applications to support our new and existing customers’ industry-specific and diverse business processes in customer services and manufacturing or warehouse/ distribution sites. A new JOMAR customer base emerged that met the rising demand of engineered performance materials for the military and for fire or chemical protective fabric. Part of our traditional customer base diminished due to the off-shore pricing pressure on conventional consumer products in a rapidly changing global market. Access to the Internet and our multi-platform server facility provided for global sales demonstrations of our web-based ERP and Enterprise Software application suite, Conference Room Pilot sessions during software project implementation, and flexible training schedules to reduce travel time and the travel cost for our customers’ staff in different business or plant locations. JOMAR SOFTCORP INTERNATIONAL concluded the complete renewal of our web-based ERP and Enterprise Software application suite with its proven industry-specific and enhanced software functions for manufacturing, full service supply chain and warehouse/distribution center management in record time. JOMAR rolled out the new web-based and platform independent ERP and Enterprise Software application suite integrated with the additional software enhancements based on current IT and multi-platform technology. JOMAR’s platform independent web-based and ‘server-side’ ERP/Enterprise Software was successfully introduced in the market and the first sale of it was concluded in the same year. The owners of JOMAR SOFTCORP INTERNATIONAL provided the funds for a complete renewal of our industry-specific ERP, Manufacturing and Distribution Software based on open architecture integrated with the Internet. A separate and self-contained office area (in JOMAR’s Software Development and Customer Service Center) was allocated to the software development teams for close coordination with the software development manager. Our experienced Canadian and U.S. professional staff was assigned to develop JOMAR’s new platform independent and web-based ERP/Enterprise Software with a project completion target for the year 2000. 1998. The owners of JOMAR provided the funds to their holding company for the construction of a Software Development and Customer Service Center at the JOMAR head office location in Cambridge (Ontario) Canada. A separate and large office area was immediately allocated as required for the Y2K projects and JOMAR’s customer training. 1982 – 1998, JOMAR’s professional staff implemented advanced and complete ERP, manufacturing, distribution and financial software in single manufacturing plants, multi-plant locations, vertically integrated plant operations and warehouse/distribution centers for midsize companies and multi-national corporations in the U.S.A., Canada, France, Spain, Portugal and South America. JOMAR installed complete ERP and Distribution software packages in 350 vertically integrated multi-plant manufacturing locations and distribution centres on the IBM AS/400 platform. Our customer base was comprised of companies with 50, 200, 500 and 1,000 users (across multi-plants and warehouses in multi-national corporations). The annual sales of our customers’ small to midsize companies was $20 to $200 million and for multinational corporations $300 million to $2.2 billion. JOMAR started a family business in 1982 to provide advanced software for manufacturing, distribution and financial applications across industry sectors. Copyright © JOMAR SOFTCORP INTERNATIONAL. All rights Reserved.